Residents of Lissywollen Direct Provision Centre in Athlone, Co Westmeath this afternoon marching into Athlone town against conditions at the centre where they live six-eight people in one bedroom. 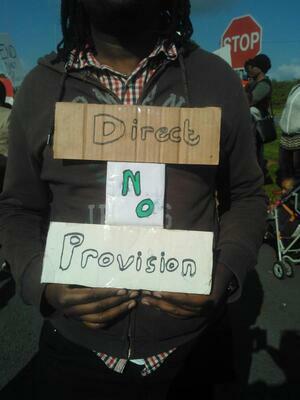 Posted in Misc and tagged Direct Provision at 1:33 pm on September 6, 2014 by Broadsheet. Everyone has a right to protest. it’s disgusting the amount that people in DP have to live on, not to mention the conditions. How many weeks of a DP allowanc would you need to afford an all-in ticket to Electric Picnic, Roisin? You can judge a society by how it treats the least privileged. It is time to give these people their dignity back. A tin of lemonade, a packet of crips, a pat on the back and a plane ticket home. They’re not part of our society. They’re failed asylum claimants who have no connection with this country other than the fact of their choosing to come here. They’re not failed asylum seekers if they are still there. The evaluation process has failed. 6 – 8 people? Stop having babies until your status is confirmed would solve this. No one asked you to have a baby. Your choice, so it’s … whose problem? Maybe the people should consider the babies, and stop selfishly having them in the hope that’ll it make their application go smoother. Maybe that’s an unfair observation, but having a child while in limbo is not exactly selfless now is it? I suggest to you to learn the correct definition of racism. Stop me if I’m going over your head. I do of course feel pity for them, but not when they bring another into this DP misery. Yeah, I will stop you. Try ‘logical family planning’, hyphens or no, on €19.10 a week. In Ireland, where particularly EC is difficult to come by in the rural areas in which many direct provision centres are located–and prohibitively expensive. Throw in the added necessity, which many asylum-seeking women are reporting, of effectively coerced prostitution, with all the resultant fears of pregnancy through sexual abuse that goes along with that, where l–o–g—i-cal -f—amil-y planning isn’t often considered. This isn’t putting a few coins in a vending machine in Coppers out of your €188 or your paid employment. I’m pretty confident I have a firmer grasp of ‘the correct definition of racism’ (as if there were one) than yourself, thanks very much. I’m a lexicographer, an anti-racism campaigner and a human being. I know it enough to identify it from the lazy stereotyping and twisted, hate-filled value judgments that form the bile of your contributions. I’m sure those in DP would be glad of the PITY you manage to muster up, though, you hero. I’m still not convinced you’re not a troll, so I’ll leave it at this. Samuel, none of those people asked to be held in a limbo for all these years, cop on you spanner. 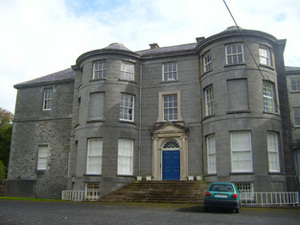 we have many homeless people who can not be accommodated and many other people being forced out of their homes by greedy banks and landlords – these folks get very very little to no help from the government agencies.at least in direct provision there is some food and a roof over their heads, guests of our great nation. 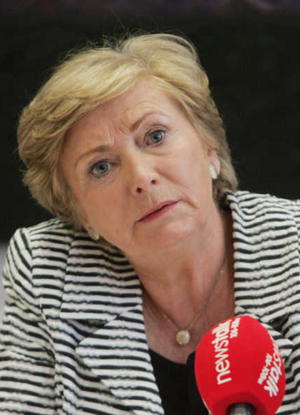 So your argument is: Direct provision is not as bad as homelessness; therefore, direct provision is okay? Don’t reply telling me that I’ve put words in your mouth. That’s the essence of your non-argument. Maybe they should claim asylum in the first European country they entered. passing through an airport terminal doesn’t count as entering a country. Not saying I approve but that’s the rule. Allow them to work and tax the government collect from them would stop the need for direct provision. Simple. If they fail in their asylum case then they have a month to leave their job and then leave the country. Although I never quite understand what gives one person the right to say that another person isn’t allowed to live wherever they like in the world. Think about it. The majority of these ‘asylum seekers’ have had their applications rejected because they are deemed to be not genuine refugees, but the ludicrous legal system here allows them to lodge appeal after appeal after appeal which is why they end up so long in these centres. Figures from the Dept Justice have shown a majority of people claiming asylum have been found to have used forged documents, multiple identities to fraudulently lodge false asylum applications, sometimes in multiple countries. They should be deported on the basis of this alone. A person claiming asylum is required to lodge their claim in the first country they arrive in after their point of origin. Ireland has no direct flights to any of these ‘asylum’ countries which means these people are purposely not declaring asylum until they have got to Ireland. If I was a genuine refugee I’d be happy once I made it to the first safe country I got to. And as for their conditions; They get 3 square meals a day, a choice of snacks is made available, they get free accomodation, a medical card and educational facilities made available to them. Not exactly the life of a pauper. They have no bills and are then given €20 pocket money. Thats more then the homeless irish man that was nearly killed this week in Athlone after been found to be sleeping in a rubbish bin has. Im all for genuine asylum seekers but its time to get tough with those fraudulently abusing the system and ruining it for genuine people. Why the parenthesis? Are you implying they’re not asylum seekers? Whether they are granted asylum or not, they’re still asylum seekers while their application is being dealt with. First and foremost, let me explain that I have worked both for the UN and a local NGO with regard to asylum seekers in Ireland, and so have a little more insight than casual Indo readers and your average couch potato commentator. Second, fraudulent documents are often a result of smuggling and trafficking and beyond their control. And anyway, fleeing violence, persecution and poverty, I’m fairly sure you would also use fraudulent documents to try for a better life for yourself and your family. Thirdly, you wouldn’t be happy to apply for asylum in Greece (trust me, or read the internet), nor would you want to apply in a country which doesn’t speak your language, or where you know no one if there are friends and family here. Fourth, the food is often very basic and tasteless and served for repeated meals, day after day. It also does not cater for culture or resident input. Free accommodation is in often terrible conditions, often moved arbitrarily from where they have made friends and relationships. Educational facilities? They cannot afford the costs of non-EU university education, and often experience discrimination and bullying when attending secondary school as children. Lastly, €20 will get you f-all in this country. This is all part of the irish times campaign to end direct provision which you would think people supposedly fleeing persecution would be happy with. The object of the exercise is immediate access to one of the most generous social welfare systems in the world, which wont go unnoticed by others. I know, I’m a terrible racist, inhumane backwoodsman blah blah blah…..
I’m for giving them a grand a week. Think about it, at that rate the state might have an incentive to either accept them as refugees or determine they’re not genuine asylum seekers in a week or two of a process – not 7-14 YEARS. 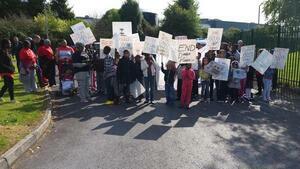 Direct provision sweeps them under the carpet and lives are blighted forever. personally i think they should all be locked up. oh wait.. The last line, I mean. Your definition of ‘immediate’ is how many years? I see you’ve conveniently ignored Ron’s post, all of which is entirely factual and logically irrefutable (and you know it). Sorry, hang on, has this comments thread actually been commandeered by the new Irish branch of Jobbik or something? Take out a book on Irish history. And cop the f. on. they all look starving! give us dole, rent allowance, child benefit, while we appeal after appeal for the next 10 years. There is no parallel to Irish emigrants who went to work in skilled or labor intensive jobs. All they are are scammers who have no intention of working. And too the do gooders that want to let them work should they then be aloud to make there social welfare claims? Yet the population is increasing. High quality, ambitious youngsters with work ethic (that the country has invested in) are leaving. Their replacement is ferry loads of unskilled, low quality people which the country is expected to provide for. Of course this is great if you’re a mediocre cute-hoor cos there’s nobody around to show you up. Even better if you’re a cute hoor with a gaff or two and/or have labour intensive business interests. All good points, yet nobody has explained why these migrants haven’t been allowed to work. 1 worker in Abuja = 1 worker in Athlone. Nobody can be accused of being a “racist” with this system. Plus, there’s also the added benefit of not having to fund whining quangos. Sounds like a good argument for abortion, put a cap on them lads breeding wha! After all if they keep at it like rabbits it might only diversify our native gene pool and improve the poster ranter intelligence quotient (PRIQ) for short and we wouldn’t want that!